Our keyhole tracks made for the Burlingham style jumps are made from 12 gauge G-90 galvanized steel for a lifetime of use. 1.625″ wide with .81″ legs. . Screws into their jump standard or onto any other standard. Use 5 of the #10 wood screws (screws sold separately). Sold in two lengths: 5′ (59.14”) and 4′ (47.34”). Priced individually. Our keyhole tracks made for the Burlingham style jumps are made from 12 gauge G-90 galvanized steel for a lifetime of use. 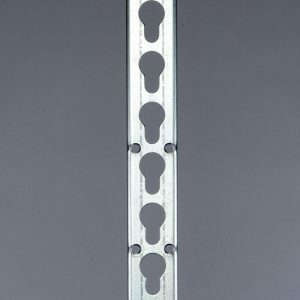 1.625″ wide with .81″ legs. . Screws into their jump standard or onto any other standard. Use 5 of the #10 wood screws (screws sold separately). 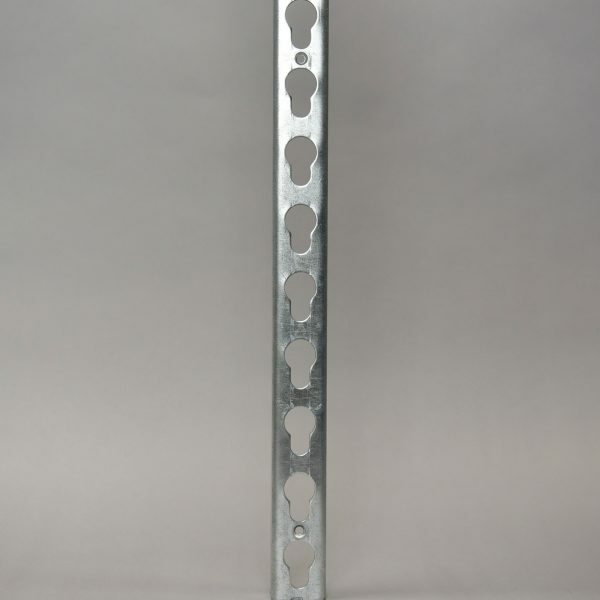 Sold in two lengths: 5′ (59.14”) and 4′ (47.34”). 5′ (59.14”) (SKU: Y-2064): Fits 6’ standards. Sold individually. 4′ (47.34”) (SKU: Y-2063): Fits 5’ standards. Sold individually.